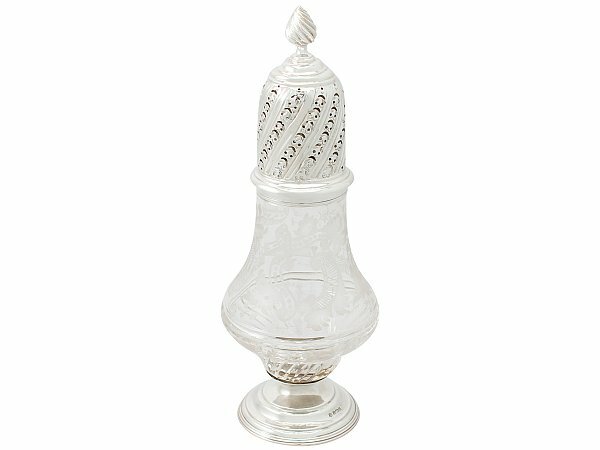 This fine antique Edwardian silver sugar caster has a baluster shaped form. 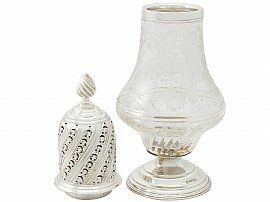 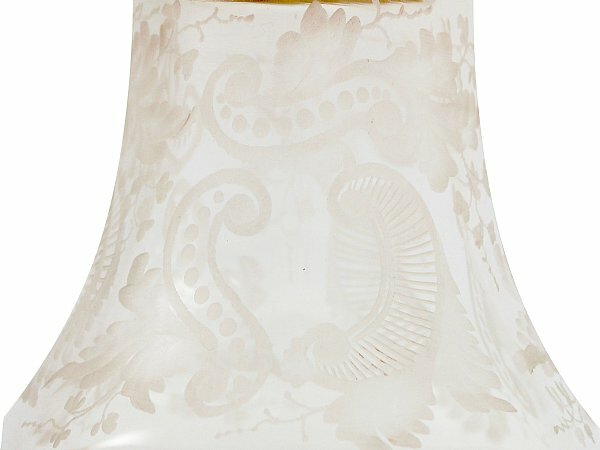 The upper portion of the glass body is encircled with acid etched scroll and leaf designs accented with bead and ribbed decoration. The lower portion of the body is embellished with cut glass and acid etched floral and leaf ornamentation in a swirl design. 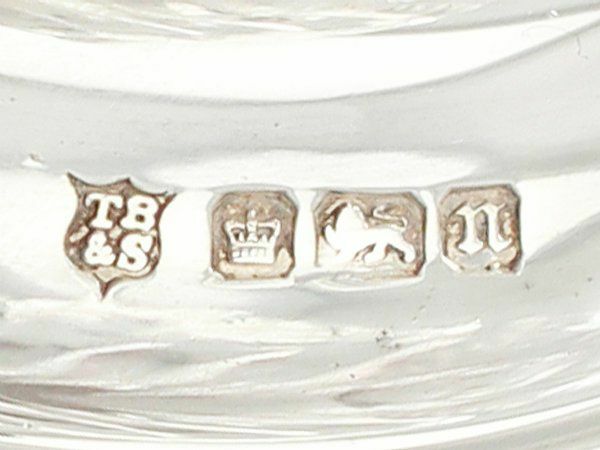 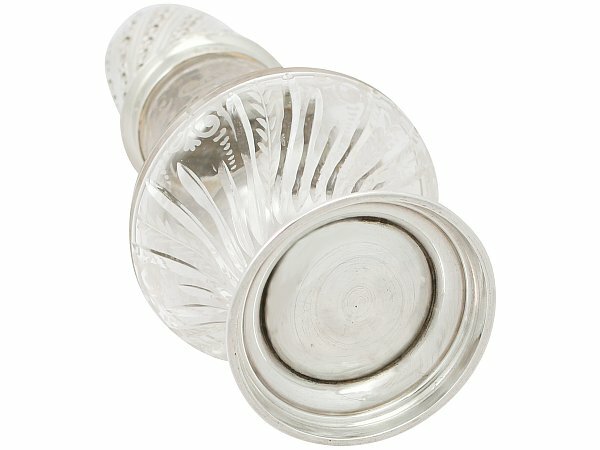 The rim of this glass caster is fitted with a plain hallmarked sterling silver collar. 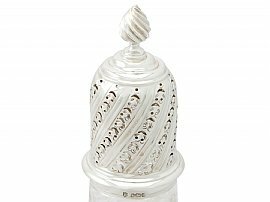 This silver caster retains the original impressive hallmarked sterling silver push fit cover embellished with embossed ornamentation in a swirl design incorporating pierced decoration. The cover is surmounted by a fine and impressive sterling silver flame shaped finial. 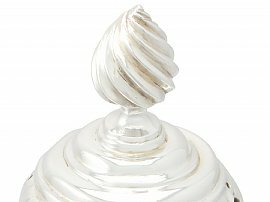 The sugar caster is supported by a sterling silver circular domed spreading foot. 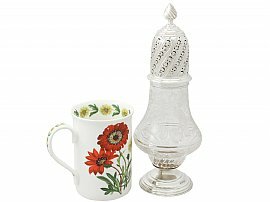 A sugar caster such as this, crafted in glass and sterling silver is a very unusual combination to find. 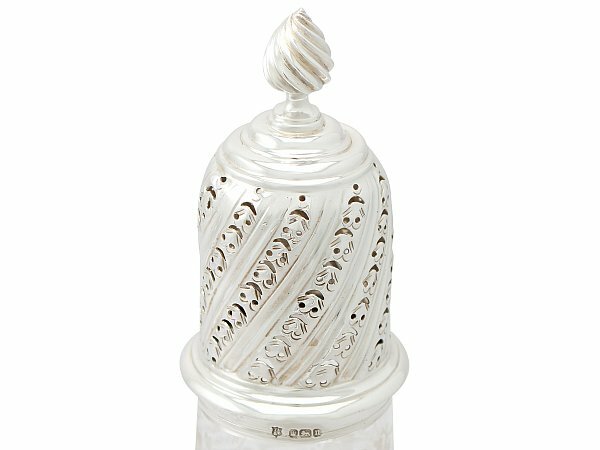 This antique Edwardian silver sugar caster is a very good gauge of silver, fine quality and in exceptional presentation condition. 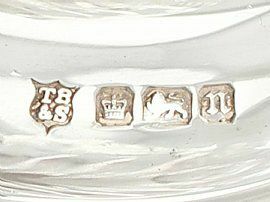 Full hallmarks are struck to the surface of the cover, foot and rim of the body are all very clear. 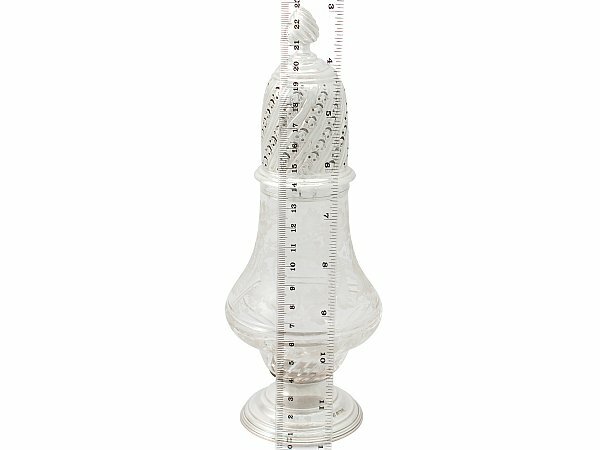 Height to top of finial 23.3cm/9"
An accurate weight of the silver content cannot be provided as this caster has a glass body.